I just love how much fabric is *woven* into our lives, from basic survival to our cultural identity. It’s something that so many of us take for granted but that without which we couldn’t perform some of the simplest of tasks. When I moved to North China I was a bit sad to discover it wasn’t such a big deal, so I took as many opportunities as possible to visit the south. However, it actually wasn’t till last year that I really decided to give weaving a go and to be honest, with all the craziness in my life over the last year, I haven’t been able to devote that much time to it. But that’s going to change! I’ve been experimenting this week with texture, and roughly spun some of my own wool to get a varied, thick and thin yarn to use in the top section. It’s more a mini experiment that a work of art ha ha, but I really enjoyed the spinning (the photo next to it is a spinner in Laos, some inspiration for my own attempt). 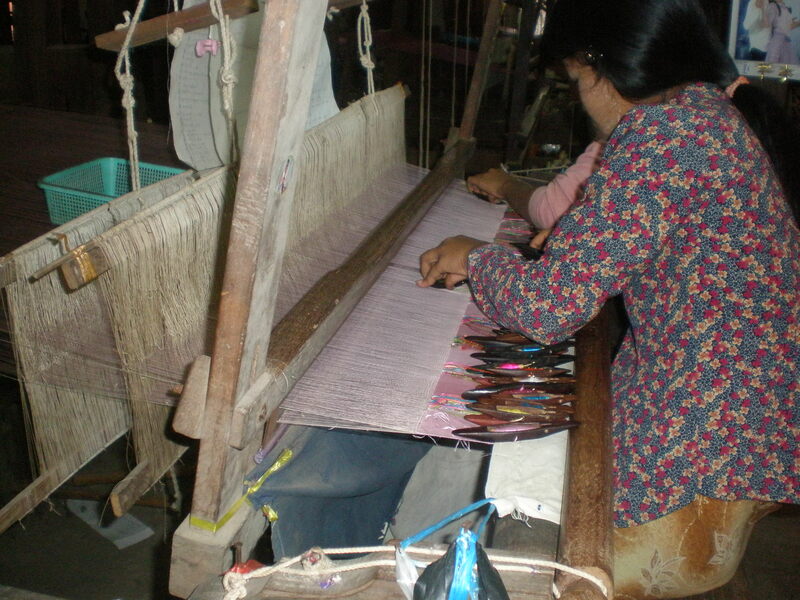 I’ve booked myself on to a 2 day backstrap loom weaving course in the mountains outside Chiang Mai, so hopefully I’ll improve my weaving. Eco? Jungle? Textiles? Thai food? Aaaah I can’t wait! 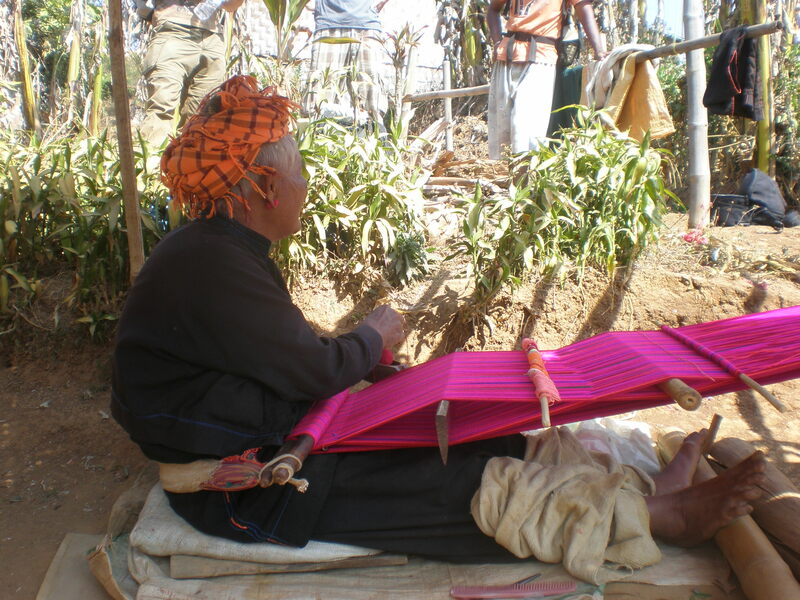 This entry was posted on 07/04/2015 by hedanni (Danni Haughan) in Travel, Travel craft, Weaving and tagged Burma, Craft, Craft Blog, Loom, Southeast Asia, Spinning, textiles, Thailand, travel, Weaving, Yarn.